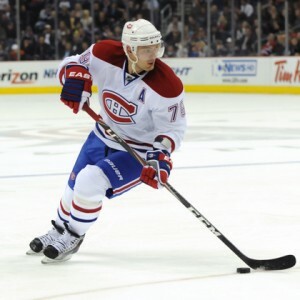 Who Will Play with Shea Weber? As far as game shows go, it’s not so bad. The ratings are guaranteed to be good anyway. And all the players already each have a multi-million-dollar contract, so, in a sense, everyone’s a winner. If only the contestant pool was a little larger, as it’s made up of some pretty exclusive company: You have to be a left-handed defenseman for the Montreal Canadiens. The Canadiens’ forgotten man on defense, Nikita Nesterov sometimes gets lost in the shuffle, as he rarely played with the team down the stretch. Despite getting traded to the team in late January, he only appeared in 13 regular-season and 2 playoff games (out of a possible 32 and 6). Nevertheless, he’s still a restricted free agent and remains an asset (kind of). That’s in spite of recent rumors that he had moved on to the Kontinental Hockey League. With one goal and five points scored as a Hab, he’s a quasi-decent depth, puck-moving option, but no more than that. One gets the sense that, if he is back with the Canadiens, the team would require someone who’s far more dynamic on offense to properly complement Weber on that top pairing. That last qualification doesn’t exactly describe Alexei Emelin, whose point totals have decreased year by year since the 17 he scored in 2013-14. Now, you wouldn’t think a defenseman could score much fewer than 17 to begin with (albeit in 59 games that season), especially not one who enjoyed significantly increased responsibility this past season. Yet, here we are. In spite of helping to form Montreal’s most-used defensive pairing with Shea Weber, almost doubling the amount of the second-most-used one (seriously), Emelin scored just 10 points. To put that in perspective, Weber was the Habs’ top-scoring defenseman with 42 points. Emelin scored the least amount of points of all Habs who played the entire season with the team. Even Brian Flynn, who played 25 fewer games, on the fourth line, managed the same amount. Granted, Weber scores his points on the power play, and, when he’s not playing on the man advantage, he’s usually found in the defensive zone. Pairing him with another defensive defenseman like Emelin speaks more to a strategy of trying to beat and hit an opponent into submission than actually outscoring them. Only one of those is the actual point of hockey. So, yeah, once Michel Therrien got fired, Claude Julien wasted no time taking Emelin off that pairing, eventually making him a healthy scratch once it became clear his game was not where it should be. To Emelin’s credit, he rebounded to play okay down the stretch. He too only managed two playoff games, but that was due to a lower-body injury. 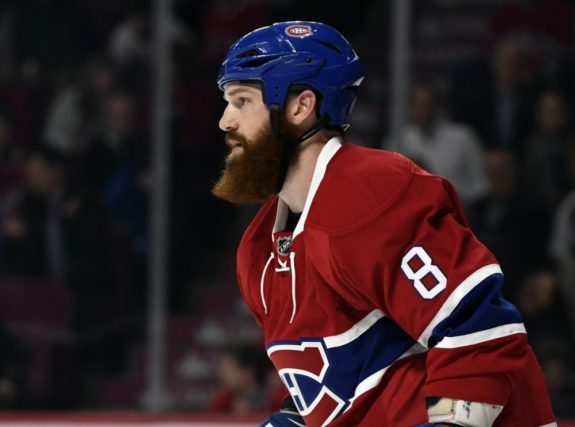 He even scored the Habs’ lone goal in their season-ending loss to the New York Rangers. Barring his selection in the upcoming Expansion Draft, it seems Emelin has a future on this team, at least until the last year on his contract runs out. It’s just hopefully down the line-up. Fresh off a Memorial Cup win, Mkhail Sergachev has essentially accomplished all he can in junior. However, because only 20-year-olds out of the Canadian Hockey League can play in the American Hockey League (and Sergachev will only be 19), it’s either make the NHL team or stay in the Ontario Hockey League. Between those two options, at this point, one has to believe playing in the NHL will better promote his development. If by some chance the Canadiens, who are notoriously slow in developing their prospects, feel the same, the next major leap would be for Julien to entrust Sergachev with the responsibility of playing with Weber on the top pairing. That’s a lot of hurdles. Considering there are seven defensemen already on the roster (excluding Nesterov, with Andrei Markov and Nathan Beaulieu requiring new contracts), one is going to have to be selected in the Expansion Draft just for the newly signed Jakub Jerabek to have a spot. Jordie Benn will never be confused for a superstar and he doesn’t necessarily make whichever pairing he’s on the way Weber and, to a lesser extent, Jeff Petry does. Despite his lack of foot speed being exposed somewhat during the first-round series against the Rangers, he was nonetheless a cost-effective revelation for the Habs after having been acquired from the Dallas Stars. He served as a steadying stay-at-home presence further down Montreal’s line-up on. It seems odd that the Canadiens would willingly choose to sacrifice such a luxury by putting all those eggs in one basket on the top defensive pairing. In spite of the two goals he scored in 13 regular-season games with the Habs (12 over 82 games), he has never scored more than the career-high four total he did in 2016-17. So, he also fails the offense test. He may have better positioning than an Emelin, but he’s still not the one you want to rely on to carry the puck out of the defensive zone. Even assuming the Canadiens choose to stupidly expose Nathan Beaulieu to the Las Vegas Golden Knights, and, even assuming the Knights end up wisely selecting him, he still ends up higher than Benn on this list. That’s due to his swift skating ability and innate offensive instincts that led to a career-high 28 points this past season. That’s the same amount as Jeff Petry, for the record… just in six fewer games. Of course, that’s as much a testament to his superior skills in the offensive zone as it is a sign of brain farts in the defensive one. A healthy scratch several times this season, including most notably in Game 6 against the Rangers, Beaulieu still has work to do in regard to improving his defensive awareness and consistency from game to game. It’s for that reason that there is some chatter that the Canadiens would rather protect Benn with their last of three spots on defense (presumably Weber and Petry; the latter due to a no-movement clause, the former due to them having traded P.K. Subban to get him). Doing so would expose a 24-year-old first round pick who just established a career-high in points and can still improve defensively. So, not smart. What would be smart is for the Canadiens’ brain trust to grant Beaulieu the same courtesy everyone is extending Julien: a blank slate after a failed playoff run and a full training camp to best integrate within his new surroundings. Here’s hoping common sense wins out and the Canadiens make the same choice 29 other NHL teams would without hesitation. Brandon Davidson had a disappointing season. 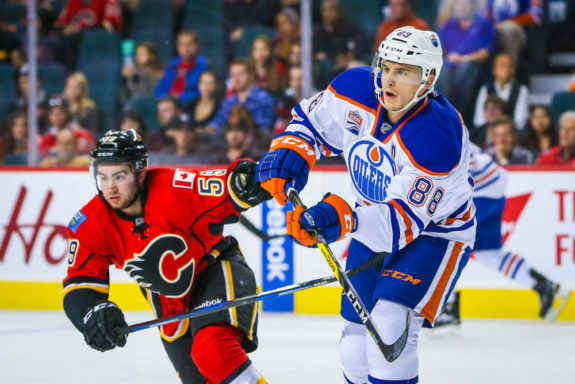 He took a step back from an impressive 2015-16 campaign with the Edmonton Oilers, during which he was a standout on the team’s defense corps. Sure, that’s kind of like being the healthiest thing to eat at a Taco Bell (trick question: it’s actually one of those KFC salads available in restaurants featuring both chains). Still, Davidson was solid last year. Unfortunately an upper-body injury took him out of the line-up for 30 games early this season. Upon his return, he had fallen down the Oilers’ depth chart. To top it all off, he was traded from a potential perennial contender to the Canadiens… for David Desharnais. Talk about a bruised ego. Nevertheless, there’s a theory the Oilers made the deal so as not to lose him for nothing during the Expansion Draft. 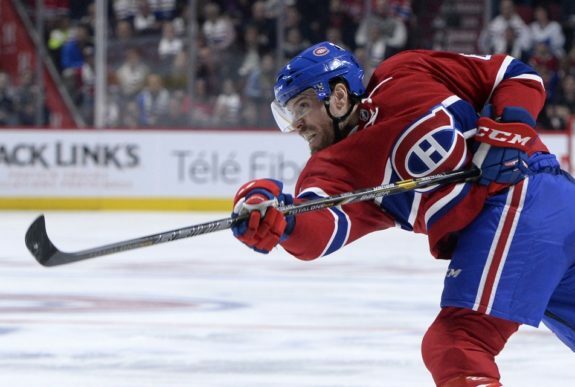 And, technically, Desharnais, with just a few months left in his deal, is not nothing. He could have been under contract for a few more seasons. In essence, many objective observers believe that the Canadiens made out like bandits with this trade. Think of the 26-year-old as a Beaulieu with less offensive talent and less propensity to make mistakes (although, he’s far from perfect in that department). As a puck-moving defenseman, he has some offensive potential, just without the prolific nature and flash of a P.K. Subban, which could be seen as a positive. If Davidson isn’t selected by the Golden Knights as a Hab instead, he could be the answer to their woes. Not much is known about Jakub Jerabek as the 26-year-old Czech defenseman attempts his first foray into North America. A Kontinental Hockey League first-team all-star, Jerabek scored five goals and 29 assists in 59 games. There’s room for cautious optimism that he is the real deal and can be that offensive first-pairing defenseman Montreal needs. His career-high 34 points weren’t a fluke as he scored 33 points in fewer games (52) in 2015-16 and 32 points in just 48 contests in 2014-15. He was also the fifth-highest-scoring defenseman in the KHL. Of course, each of the defensemen above him failed in North America, with just Vyacheslav Voynov having a case as being good enough from a skill perspective to make it. The top-scoring defenseman, Chris Lee, scored 27 more points (65) than runner-up Matt Gilroy. As dominant as he has been, he never so much as appeared in an NHL game, limited to ECHL and AHL action during his six-year stint in North America. So, take Jerabek’s stats with a grain of salt and don’t forget to note his contract’s European clause, which reportedly allows him to leave for Europe if he doesn’t make the team. Jakub Jerabek is protected by a european assignment clause if he can't make the team in Montreal. The sad fact is, Jerabek is far from a sure thing and may very well luck into the role of Weber’s partner only by default, due to a lack of other viable options. That unfortunately includes the No. 1 option below. The 38-year-old Andrei Markov was Weber’s second-most-common partner. Credit to him for keeping up and then some with players upwards of 15 years younger than him. During the games he played, he was a force on the back-end and, in spite of the numerous lower-body injuries and subsequent surgeries over his 16-year career, he still managed to appear no worse for wear (relatively speaking). He is worn down, though. There is no denying that, even if only due to the “during the games he played” qualifier at the top of the last sentence. He only appeared in 62 games this past season due primarily to a groin injury. There’s a chance that was a one-off especially with him having played in all but two games over the preceding four seasons. The Canadiens will have no other choice but to first re-sign the unrestricted free agent and then pray that’s the case.